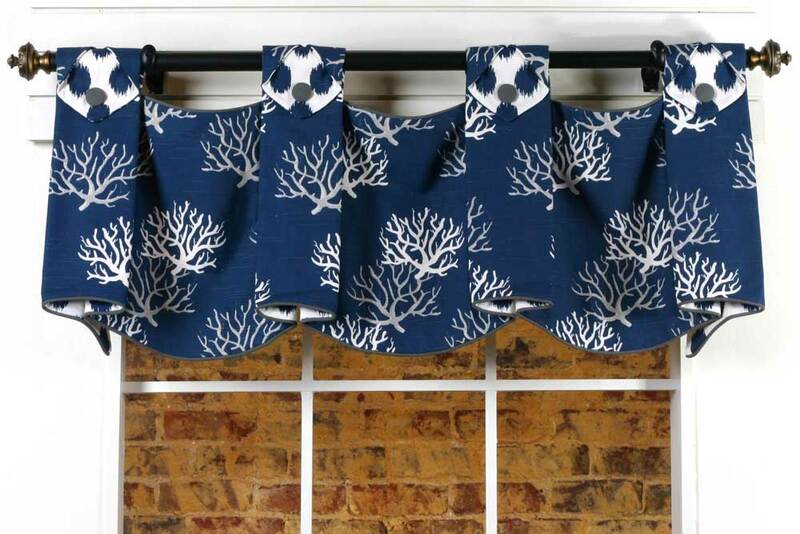 This tailored, yet fun pleated valance with tabs can be adapted to fit any size window by adding additional swag sections. 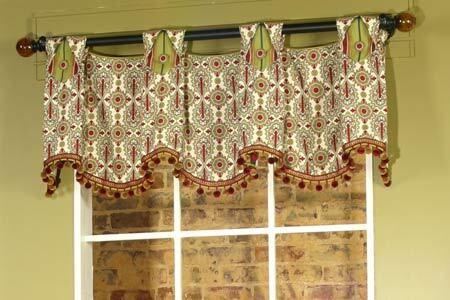 Trim can be applied to the bottom edge of the valance, if desired. 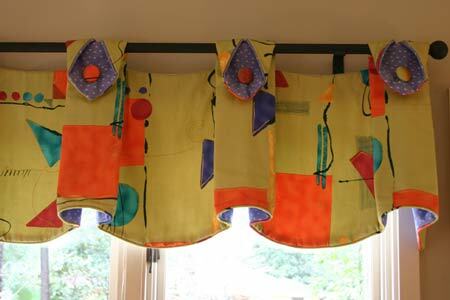 Q: Are your patterns adaptlable to any width sized windows? Looking at the Julia pattern for a window which is 33" when cased out. Thanks! 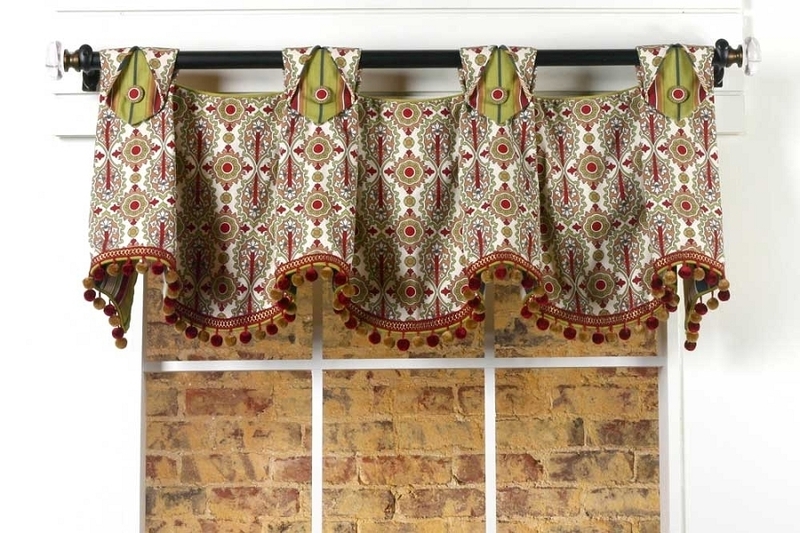 Q: how long is the valance from rod to the hem? 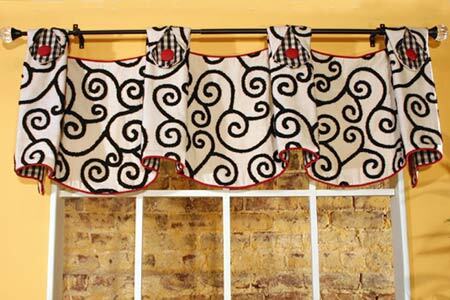 Q: Hello, Which fabric did you use for the Julie valance in black and white? Q: I am going to make this on a bay window what is the best way to calculate the swag widths?